Multipurpose templates provide lots of benefits while choosing the right web design tool for your business or any website purposes. Aside from saving your resources such as time, money, and energy, they help you maximize your website’s efficiency, increase its productivity, and even improve its turnouts. 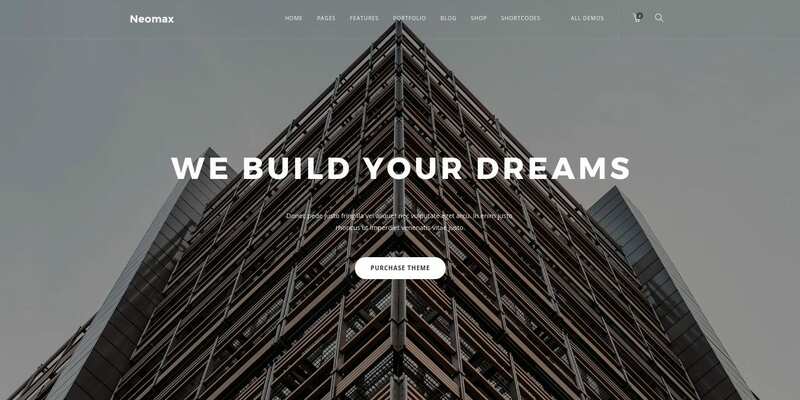 With an unlimited number of features, plugins, and tools, as well as the constant changes in the landscape, a well-packaged multipurpose theme serves as a pack of Lego blocks waiting to be stacked together and turned into something beautiful and functional. 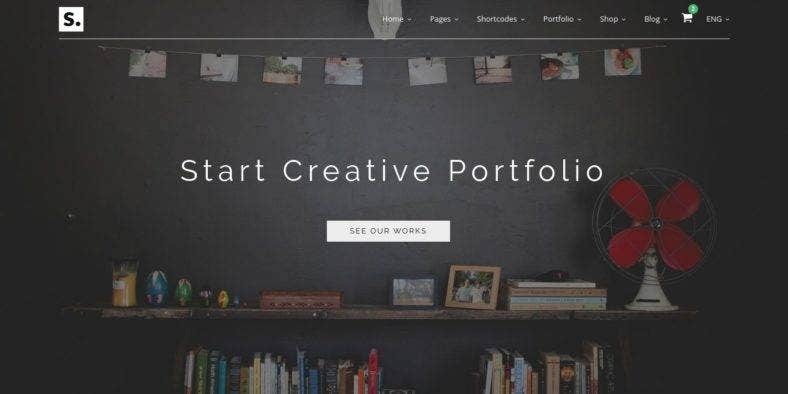 Below are some of the top multipurpose website themes and templates we have carefully selected and specially curated to give you the best choices of website templates for multiple purposes, various business niches, and personal uses. Give yourself a treat and enjoy scouring for the perfect multipurpose theme for your website. 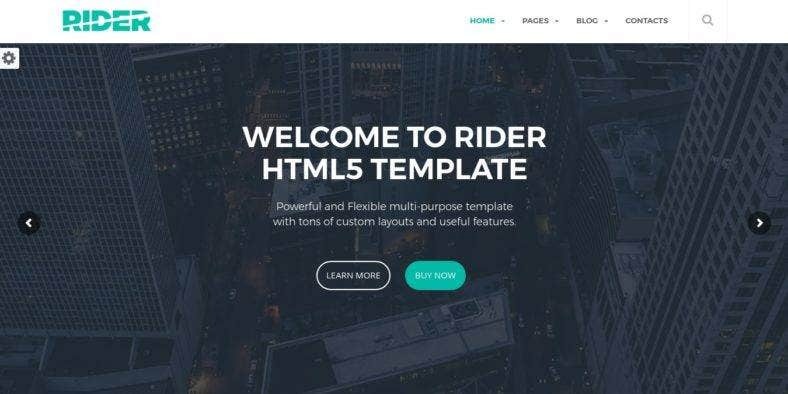 First on the list is Rider, a multipurpose responsive HTML5/CSS3 website template that comes with a clean design perfect for any type of website as well as high flexibility with endless design possibilities in order to customize your website according to your needs or preferences. It is built with a Fluid grid on the Bootstrap framework and includes LESS for full style control. The theme is also fully responsive, retina-ready, SEO-friendly, and all-browser compatible. Rider includes 25 custom HTML pages for multiple purposes, with five unique homepage layout options, four homepage hero sliders, four header styles, three footer options, two different contact pages, 10 background patterns, and many others. 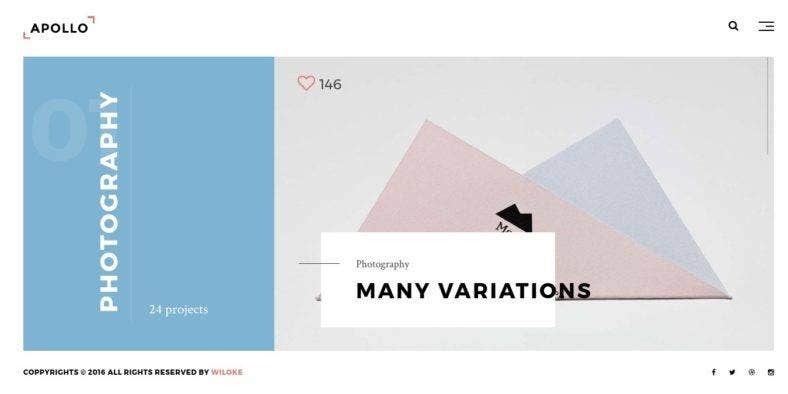 It also features full portfolio and blog styling with multiple layouts with sidebars, Instagram and Twitter feeds integration, working contact forms with CAPTCHA, Google Maps API and Google Fonts support, sticky menu, and more. Then, we have Executive. Another multipurpose website template that is designed as a personal portfolio theme but can also be used for other purposes such as websites for businesses, agencies, corporations, organizations, and other industries. It has a clean and modern design with three different design concepts to choose from, so you can highlight your skills or services, sell your works or products, and move your career higher. Executive is built on the Bootstrap 3.3.7 framework version and is developed with W3C validated HTML code which is well-documented with details for ease of use. It is packed with lots of awesome features that follow the recent web design trends and technologies. Among these are the fully responsive layout, parallax effects, Google Fonts and Font Awesome typography, CSS3 animations, a working contact form with PHP and jQuery validation, etc. This creative Bootstrap website theme is a corporate, business, restaurant, eCommerce, travel, landing page, and multipurpose template with over 110 HTML pages to use, along with 10 pre-set color schemes and unlimited color styles that provide endless design possibilities. Start is powered by HTML5, CSS3, and jQuery with the high flexibility and high functionality of the Bootstrap framework with lots of powerful features and plugins included in the theme. Start has a responsive and retina-ready design with boxed and die layout options. Its features include solid and transparent header options, Font Awesome and Retina icons, Isotope filterable gallery, animated elements on scroll, lightweight page loader for project details page, beautiful blog and portfolio pages, a working contact form with Ajax, Mailchimp integration, accordions and tabs, and many more. This theme is also super SEO-friendly and cross-browser supported. This complete and multifunctional web design tool is Classy, a multipurpose website theme that comes with a super clean and ultra minimal design that is rich in features and powerful in functionality. Built with the most recent Bootstrap framework version Beta 4, it is developed with both one page and multi-page layouts in order to cater to all kinds of websites. It boasts a total of over 150 HTML pages so you can create your web pages beautifully and easily. Classy is a fully responsive web design template integrated with lots of premium plugins and a wide variety of customization options. These include 34+ home page variations with 20+ one-page layouts and 14+ multi-page layouts, 30+ portfolio pages, 24+ blog pages, 15+ Awesome Header, 20+ Hero Slider, and so much more. It also features a premium and eCommerce Mega Menu, working contact form with PHP and Ajax, parallax video background, and more. Second is Apollo, another multipurpose HTML5 template that comes with over 32 template options to choose from, one for every website niche. Built with Bootstrap 3 framework, it has a clean and modern design that suits corporate, business, industrial, creative, personal, and blog websites, among many others, which you can easily use and customize. You can also use it to create your eCommerce website, with either a multi-page or one-page layout. Apollo has a unique and minimal design that is fully responsive which allows your website to adapt quickly and easily to any type of device, no matter the screen size. It is developed using the latest HTML5 and CSS3 web design standards, so it is highly optimized for speed and performance. Among its other features include a retina-ready design, masonry gallery, pricing table, OWL carousel, portfolio filter, a reliable counter, and so much more. Another one page parallax multipurpose template is Curv. 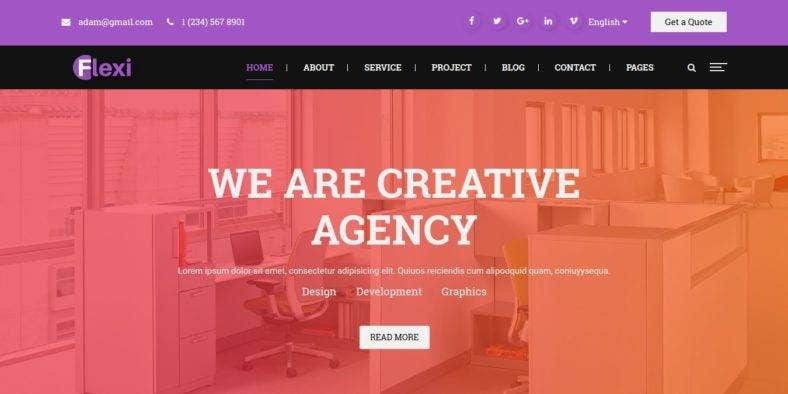 This theme comes with six one-page home page layout variations for multiple types of business and creative websites including creative agencies, music bands, architects, car services, business startups, and cleaning services. Additionally, it has two Coming Soon pages which allow you to inform and tease your audience for your upcoming website launch without paying more bucks and adding cost. Curv is built with the current web design technologies and industry standards such as the Bootstrap framework, valid HTML5 code, awesome CSS3 animations, and gorgeous jQuery effects. It also boasts a fully responsive and retina-ready design which makes your website look pixel-perfect on all standard devices. Furthermore, the theme features a working contact form with Ajax, free Google Fonts, Font Awesome Icons, well-commented files, and documentation. 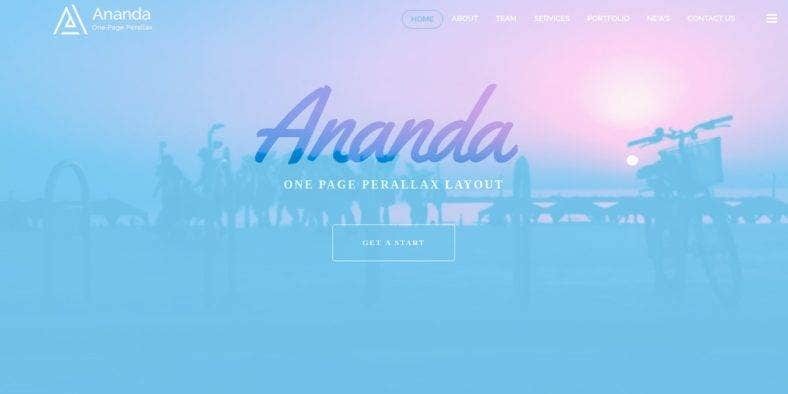 Here is Ananda, a one-page parallax website template that can be utilized for various purposes. 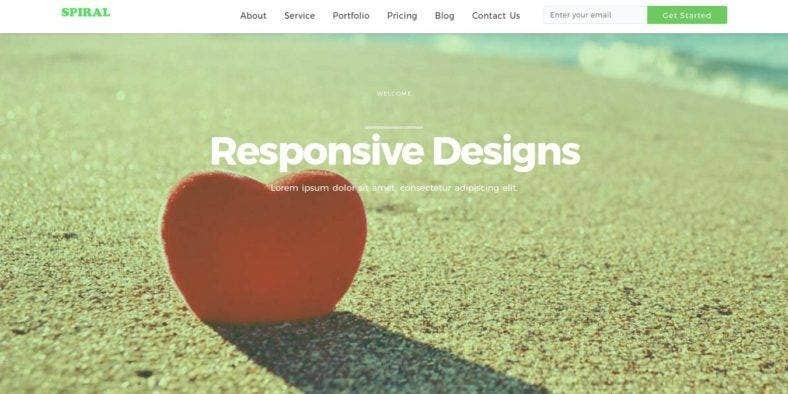 It is a responsive HTML5 and CSS3 theme built on the latest Bootstrap framework and is suitable for both creative and business website niches or per your clients’ requirements. Its minimal and clean design comes with six different homepage layouts that you can choose from and two additional Coming Soon pages so you will not have to purchase one. Ananda’s main features include lots of CSS and jQuery animations and parallax effects, an SEO-ready and easy-to-customize valid HTML code, fully responsive working contact form with Ajax, Font Awesome icons and free Google Web Fonts, compatibility with all modern browsers, and well-commented documentation files, among others. The theme also includes lifetime free updates and a dedicated team that is always ready to help their customers. The multipurpose Bootstrap website theme you see above is Simple PX. A fully responsive HTML5/CSS3 theme that comes with 70 W3C validated HTML pages to use for any kind of website, from portfolios, blogs, personal web pages to eCommerce, news, food, education, and business websites. It also includes 12 responsive home page options, eight slider variations, 20 color schemes, seven header styles, six product page variations, and many more options. Simple PX is attributed with lots of powerful and useful features like the Revolution Slider, Touch-Swipe Slider, a responsive carousel, social feeds, working Ajax and PHP Contact Us pages with jQuery validation, a Coming Soon page with jQuery countdown, and Google Maps integration. It has several eCommerce pages you can use to build an online shop, with a Shopping Cart, Checkout, Compare, Login, Register, Wishlist, Brand, and Purchase Gift functionalities. Next is Flexi. This responsive HTML5 website template is a multipurpose web design tool that presents 30+ HTML pages with six home page variations, three Services pages, four About pages, eight blog pages, five Project pages, a Contact Us page, 404 error page, and a Coming Soon page. A template this extensive will definitely allow you to build a stunning and functional online portal for any corporate, agency, professional, consultancy, financial, and personal business. A super-clean and highly creative HTML5 template built for many websites with multiple purposes, Litmus is a uniquely-crafted and modern-looking theme that can be used for creative agencies, corporate, organization, personal portfolio, creative blog, fashion, restaurant website, and other website niches. Also a perfect template to kickstart your new web project or business, this theme puts a lot of emphasis on content and great details on the design. Litmus is based on the newest Bootstrap 4 version with up-to-date HTML5 and CSS3 technologies, making it packed with all the latest and trendiest features. 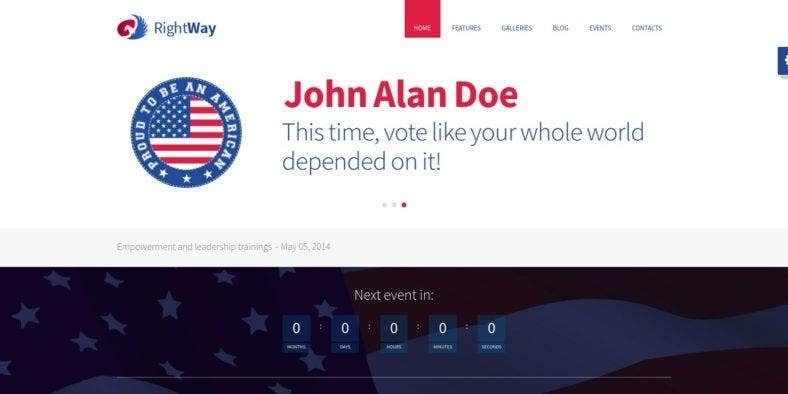 These includes a Revolution Slider, multi-level drop-down menu and hamburger menu with slide-out animation to accommodate extra menu items, Login and Register Pop-up design menu, a beautiful Search Slide out pop over, a working contact form, email support, SEO, and cross-browser compatibility. Modicate is a top-class website template that is carefully and meticulously developed to cater to multiple purposes and various types of web design projects. 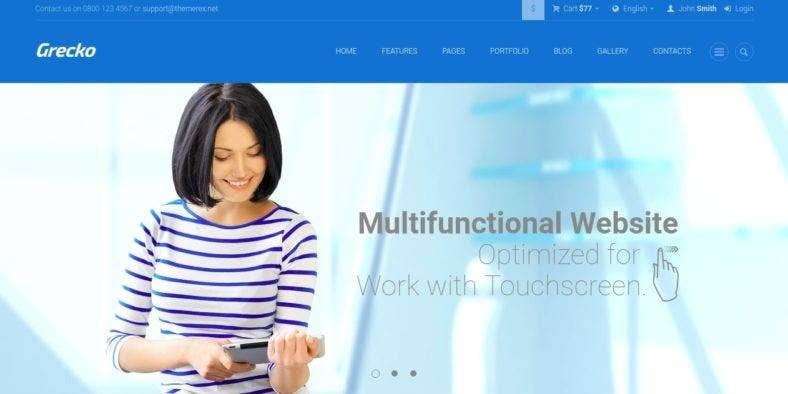 It boasts of a rich UI kit with a huge set of UI elements and blocks, along with over 50 ready-made HTML5 pages that you can choose and build your website upon, and many other awesome features, powerful plugins, and customization options which make this theme highly functional and configurable. Built with Bootstrap 3.3, Modicate has a responsive layout that quickly adapts to any screen size, making the text and images flexible and rendered correctly. 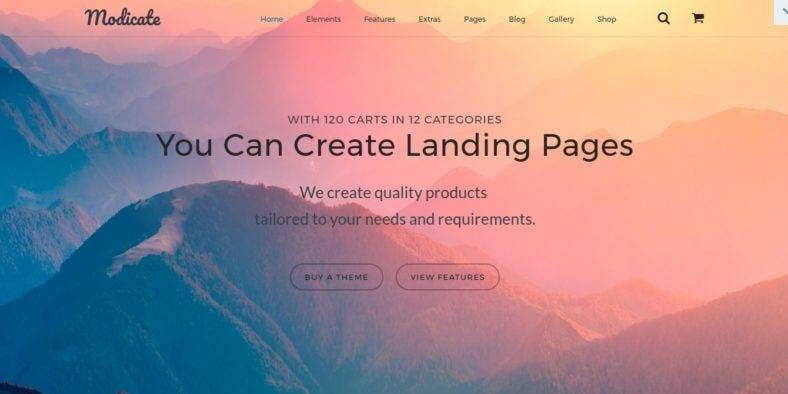 Along with other features such as multiple header and footer layouts, cool CSS3 animation effects and transitions, different gallery types and blog layouts, Live Search and a variety of working forms, W3C valid and SEO-friendly code, this theme will surely boost your conversions and more. A powerful multipurpose Bootstrap website theme, Assan considers itself as the most complete template packed with over 15 separate templates that are pre-made and ready to use for business, corporate, personal agency, medical and health, restaurant, real estate, education, non-profit organization, charity, wedding website, events, app, eCommerce, admin dashboard, landing page, and many other websites. It also includes 400+ HTML files and 200+ shortcodes to use. Assan is built using modern frameworks like SASS, GULP and Bootstrap 4. It offers a lot of varieties but its functionalities should also be looked upon as it includes a number of premium plugins like Revolution Slider, Cube portfolio, DZS Parallaxer, Smart forms, Sky forms, and Liner icons. It is clean-coded with thousands of reusable elements that you can just copy and paste anywhere you wish in order to build the perfect website you want. 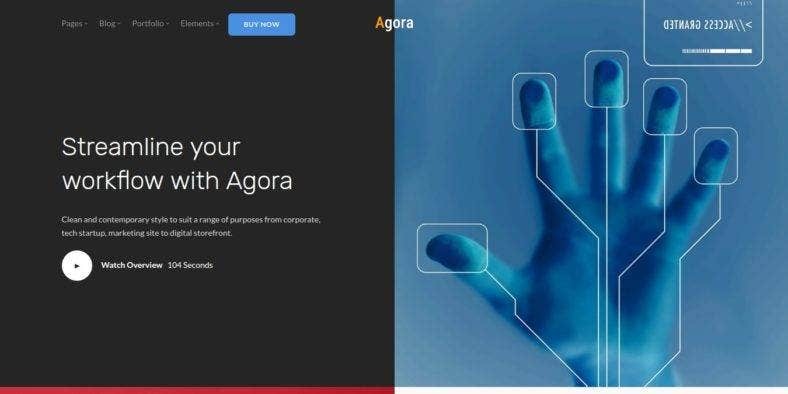 Agora is a multipurpose HTML5 template with a clean and modern style that is fully responsive and easily customizable, so it is suitable for almost every kind of website, whether from the business or creative niches as well as technology, marketing, and digital storefronts or online shops. 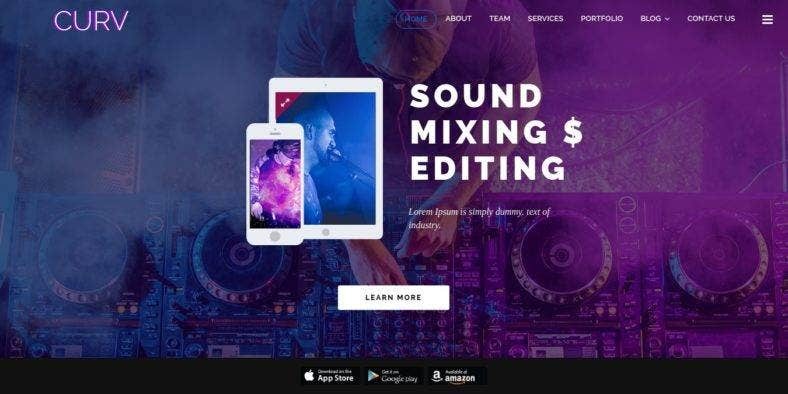 A very good starting point to create your website, this theme consists of practical design elements as well as many necessary functionalities to cater to multiple purposes. Agora has a one-page design with a multi-page option, along with multiple fonts and color scheme variations that allow you to experiment with your own style. There are also 40 HTML pages provided which you can build your web pages upon as well as other features such as the parallax images slider, working contact form with fields validation, Mailchimp monthly newsletter subscription, several portfolio pages, social media integration, and many more. 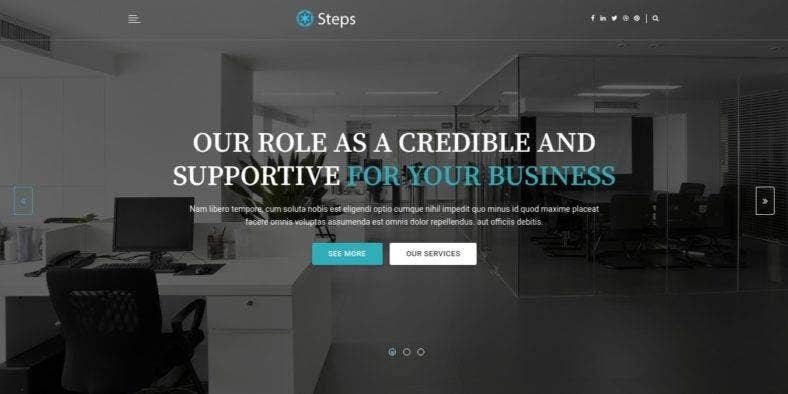 The modern corporate HTML template you see above is called Steps, probably because choosing this theme could be the perfect steps in order for you to create just the right website for your business. Based on Material Design and built over the Bootstrap framework, the theme comes with over 100 built-in elements and over 54 HTML pages to build web pages and an entire website for many types like business, portfolios, blogs, and marketing campaigns. Steps is developed using a clean, flexible, and well-commented code which is easy-to-understand and modify with an extensive documentation with Quickstart installation and a convenient Theme Options panel to let you customize the template easily. It is made for two vast app platforms, iOs, and Android and tested on all modern browsers, so you are guaranteed that it works well on all devices with an optimized code for fast loading times. Spiral is a modern and creative multipurpose Bootstrap website theme specially created for a multiple number of website niches that include creative professionals, agencies, content creators, restaurants, photographers, and many others. Based on the latest Bootstrap 3 framework, the theme boasts of many state-of-the-art and standardized features such as a fully responsive layout, mobile-friendly design, and cross-browser compatibility. Spiral’s other main features include a bunch of inner pages for blogs and projects, stunning parallax and smooth scroll effects, sticky menu, free custom web fonts, Font Awesome Icons, Google Fonts, W3C valid HTML code, and so much more. Its responsive design enables your website to look good on any type of mobile or desktop devices, with every screen size or image resolution. Browser support allows higher ranking on search engines and lead generation. Another multipurpose website template is the trendy and modern Neomax. 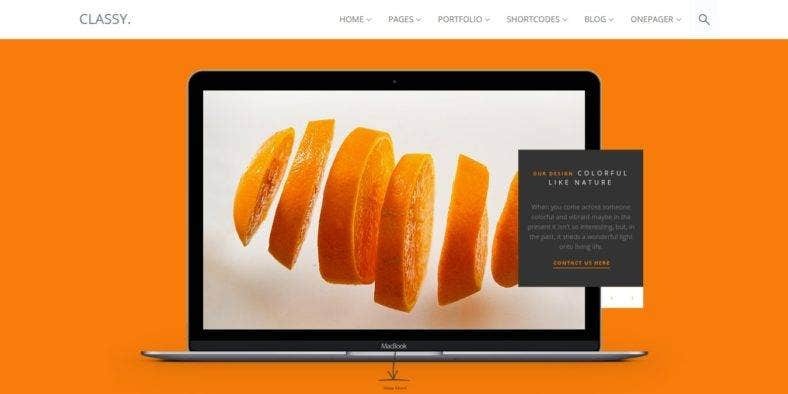 With 15 stylish and fully equipped demo options for different website niches, this theme provides you with all the necessary elements and essential features needed by any corporate website, shop, mobile and web apps, architecture, construction, fitness, portfolio, and photography website, among many others. Any of these websites can be built using the 140+ web pages included in the theme. Neomax is also packed with a bunch of cool features such as the Mega Menu which is easy to use, Product Slider with a thumbnail carousel that zooms on hover, a parallax background that allows images as well YouTube and Vimeo videos, working Ajax contact forms with JQuery validation, a fully responsive and retina-ready layout, and so much more. 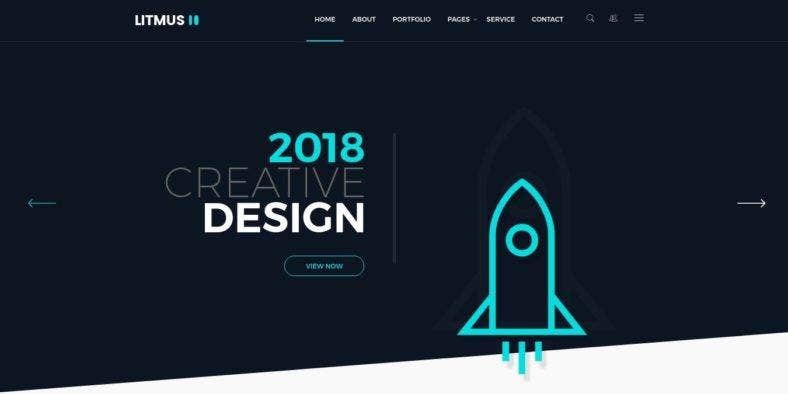 Using this template definitely enables you to create many unique style websites for different needs and purposes. Next is Grecko, a clean but bold multifunctional HTML template that is seriously slick and super flexible as it is feature-packed with a huge set of plugins and extensive configuration options. Setting up your business website and building your online web presence is made easier and quicker with this web design tool as it is developed using the latest web design trends and technologies, making it fully responsive, retina-ready, and touchscreen-friendly. Grecko’s other key features include a professional-looking design aesthetic that is clean, modern, and almost minimal; a powerful and lightweight source code for optimum website performance; impressive cross-browser support for Firefox, Chrome, Safari, Opera, and IE; well-commented documentation and great support for easy reference, and so much more. It also includes a changeable header and slider, along with two types of navigation menus. Now, here is Agent. 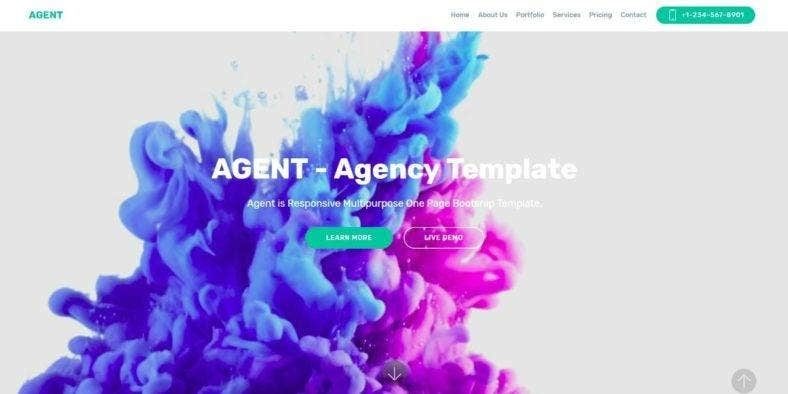 This responsive, multipurpose one-page Bootstrap template is the perfect corporate web solution for any individual or business agency and many other website purposes. It clean and modern design is integrated with a parallax background that can be replaced with HTML5 videos and sprinkled with some CSS3 animations for better visual quality. The theme has an extreme customization capability, making it flexible and versatile. Agent also presents a fresh and flat design with several layout options. So you can modify your website to match with your brand image, cater to your business needs, and suit your taste. It has a lot of features that include a contact page at the bottom, easy customization of the front page via any code editor, ability to add custom backgrounds for modules, automated image resizing, and many others. It is very well-documented, so you can access your references easily. Then, we have Troika. This multipurpose HTML website theme presents a minimalistic but universal design and a large set of functional options and customization capabilities. It offers template designs especially for these three topic variants—politics, charity, and church—giving importance to its content and various elements for multiple uses of any non-commercial website. It is fully responsive, so it adjusts well and looks good on all devices. Troika has three template variants; therefore, it also comes with three varieties of header that is fully customizable for pages and posts, an incredibly configurable gallery, a dynamic blog with nine post formats with a side bar that can be modified for each post, advanced user login panel, several eCommerce styles, and a bunch of color options and different backgrounds to use. Aside from being responsive, the theme is SEO-ready for better search engine ranking. 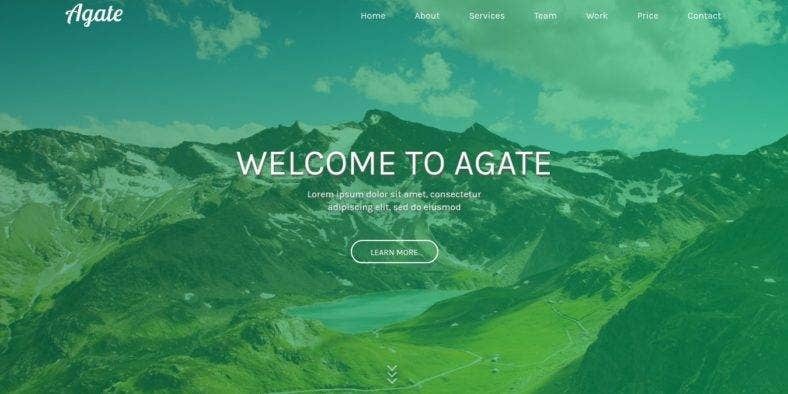 Here is Agate, another multipurpose website template that is creative, clean, and modern with a fully responsive design and trendy one-page layout. Powered with the Twitter Bootstrap framework and developed using the most recent HTML5, CSS3, and jQuery standards, this theme boasts of many trendy features and options to enhance the look as well as functionality of your website, making it suitable for any type of web portals for various purposes. Agate comes in multiple versions that are based on different backgrounds which include the classic image, slider, parallax, and YouTube. It also has a collection of homepage demos based on the color schemes—one version each for green, blue, purple, and gold. Aside from these, all the versions feature a parallax scrolling effect, smooth animations and transitions, sample Google Fonts, Font Awesome icons, working Ajax and PHP contact forms, and much more. Last but definitely not the least is Progressive, a multipurpose responsive template that is simple yet functional. Based on Bootstrap and optimized with an intuitive code using the latest HTML5 and CSS3 technologies, this theme offers easy-to-use customization options that enable you to make changes to the elements and page structure of the template, so it fits your preference and satisfy your website needs, along with many other features. Progressive comes with more than 200 interactive elements such as carousels and sliders, buttons and social icons, accordions, and toggles, charts, posts slider, pricing and data tables, tabs, and even shop elements. It also provides more than 50 custom pages that are ready to use and edit which saves a lot of time and energy. The theme also includes 14 homepage layout options, an adaptive Mega Menu that allows you to incorporate subcategories and latest posts into each category, which improves your website navigation.